Parallelogram Law asserts that the sum of squares formed on the diagonals of a parallelogram equals the sum of squares formed on its sides. 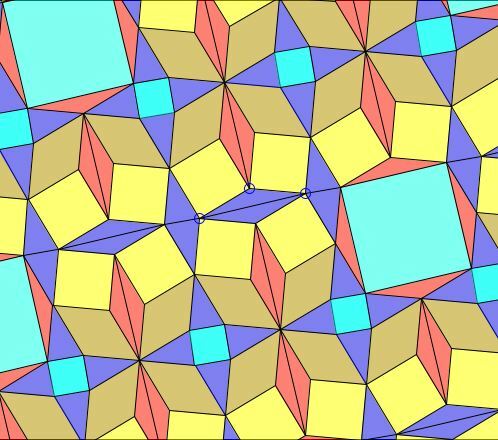 The applet below conceals, or perhaps reveals, the parallelogram identity in one of the plane tessellation suggested by the Law of Cosines. The tessellation reveals, or perhaps conceals, an octagon which in several incarnations is decomposed in various ways. Four incarnations of the octagon are explicit elsewhere.